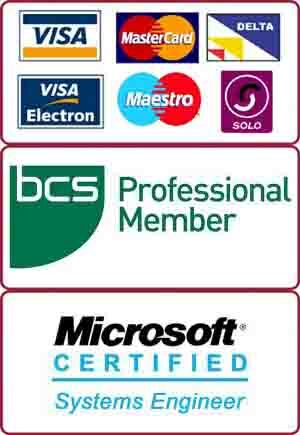 We, at PC Macgicians, specialise in PC and Mac computer repairs in Wandsworth. 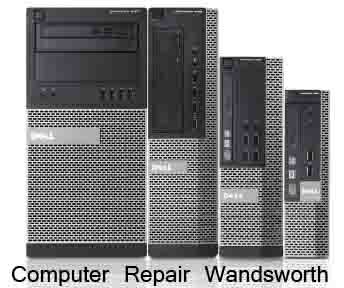 Our repair centre is based in Putney, just round the corner from Wandsworth Town Centre. A client from Wandsworth SW18 brought his desktop computer to our computer repair centre. This computer was about 10 years old. The computer had Windows XP on it. It was not switching on at all. We diagnosed the problem and the power supply turned out to be faulty. This type of computer repair is relatively easy. This could be completed within an hour or so. We booked the computer for repairs and asked the customer to come back in couple of hour’s time. As Wandsworth is just down the road from our shop, he went back to his house to come back later. The computer repair job took just under an hour to complete. With the power supply replaced, this computer was repaired successfully and we made another permanent client from Wandsworth! It is hard to believe that the number one cause why a computer won’t turn on is because it wasn’t turned on! Power button is usually located on the front of a desktop computer. Power switch is on the back of the computer. Check for disconnected computer power cable connections. A loose or unplugged power cable is one of the top reasons why a computer won’t turn on. Plug your desktop directly into the wall if it’s not already. In other words, remove any power strips, battery backups, or other power distribution devices between your PC and the wall outlet. If your computer starts getting power after doing this, it means that something that you just removed is the cause of the problem. Even if nothing improves, continue troubleshooting with the computer plugged in to the wall to keep things simple. Perform a “lamp test” to verify power is being provided from the wall. Your computer isn’t going to turn on if it’s not getting power so you need to make sure that the power source is working properly. If none of the above work, then please bring the computer to us and let us diagnose for free.